Well, most of us are of the opinion that making money online is tough. However, you will be glad to know that there is an easy method of earning money online. In fact, you can shorten URLs and make money. Today, we share with you 10 Best Link Shortener to Earn Money in 2019 [UPDATED]. The Internet has long been a platform wherein people can share links that are interesting and important for themselves and their friends. However, sometimes the URLs become long and ugly. Moreover, sometimes the URLs can contain affiliate links that people want to hide. Every time, when someone clicks on the shortened link, you will get paid. These URL Shortener Services or Websites can pay as much as $4-$5 for every 1000 visitors that you bring to your link. They pay you as you bring traffic to them. These visitors will probably become their new users and customers. When a visitor clicks on the given URL, the Shortened URL will wait for 5 seconds and then it will be redirected to the original destination link. For these 5 seconds, URL Shortener service will display an advertisement. As 5 seconds or more (depending on service to service) is completed page is redirected to the original destination. It is recommended to avoid using shortened URL on your website as it may irritate your visitors unnecessarily. Typically, you should use Shortened URL on forums, and social networking platforms such as Facebook, Twitter, and Google+. Payment is made using appropriate payment methods that the websites are using such as PayPal. Every URL Shortener Website or Service pays different CPM rates. The CPM rate also depends on the country from where people are opening the shortened links. So, the CPM rate you get depends on the URL shortener companies as well as different countries. A good URL Shortener website can pay to their publisher anywhere from $1 to $10 per 1000 views on the shortened URL. They also provide a referral system wherein if anyone joins using your referral link then you will be entitled to receive up to 20% commission of their earning. If you want to earn good amount with URL Shortener, then the best way is to share someone else post or article. Find some of the popular sites like news sites or viral news site. Use their URL and shorten that URL with URL shortener services and share that article, news, trending topics, viral images, videos, etc with your URL. You can share those trending topic on your social profiles, forum or social sharing sites. People love reading trending news and will click on your shared URL, and you can make money with it. 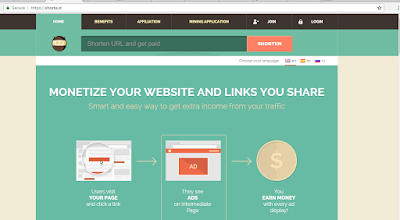 Shorten your urls, obtain detailed statistics on your traffic and earn money with Adshrink.it, without a shadow of a doubt the best url shortener in the world. we are talking about an Italian company born in 2016 that fused with an online advertisement company . This allows them to offer the highest cpm in the world, that is a staggering retribution for every 1000 clicks. In addition thanks to their tools, like the extension browser you are able to shorten your links instantly with one simple click. The only thing you need to do is register, shorten your links and share them on the internet, in this way you will earn for every click on your links. Each time a link is shorten it will be inserted in an Adshrink search engine for all the world to see! So to earn from users which are not part of your current traffic. And I also personally suggest this cause this is very convenient and easy to use. It’s a new URL Shortener, But we can’t underestimate it as It packed so much potential in it.It offers great CPM rates of minimum $3.5 and up to $10. They Count Multiple views from the same visitor, So that you can earn more and more. Give it a try. It might be the one you only need. AdF.ly is one of the oldest and most trusted URL Shortener of all time.Easy to use API of this URL Shortener allows your website,widget or App to create AdF.ly link instantly and securely.Easily access the Detailed statistics showing your earning,referring url’s and countries. You can earn $5 to $10 by shortening your link.The best part is that the minimum payout is very less that is $5 through paypal or $20 through payoneer. It also has a referral program where you can earn upto 20% comission for referrals for your lifetime.So, if you are interested you can join AdF.ly and start earning money. 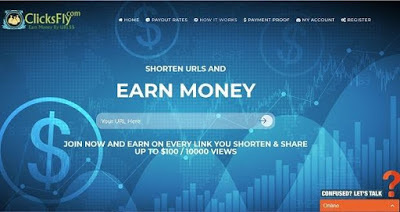 Shorte.st is one of the best and fastest growing URL Shortener which pays you for shortening your URL through them.You can short your link very quickly with easy to use API.It has copy-and-paste configurable scripts which can be used to easily monetise visits to your website in various ways. You can earn $5 to $15 per 1000 views by promoting this URL shortener and also its payout is too low only $5.It will automatically pays you on 10th of every month. Get paid every time you refer someone and earn a 20% lifetime commission. Za.gl is a New,trusted and Fastest growing URL shortener to earn money by shortening your long link. It is a free tool offering you to create your short link and earn money by sharing your link on the internet like Facebook,whatsapp,twitter or anywhere you like. Whenever someone clicks on your shorted link they go through 5 seconds of an advertisement and after that they reaches to their original link.So you earn money for each and every click. You are required to earn only $2 to withdraw your money in your paypal account. The best part of za.gl is that you can earn 50% of your friends lifetime earnings by refering to them. So,what are you waiting for ? Just,join za.gl and start earning a huge amount of money. then ClicksFly is for you.ClicksFly is a completely free tool where you can create short links,share it on the internet and earn money. When ever someone clicks on your shorted links you will earn some money in your account. Witheasy to use API you can create your short links more quickly and easily. Get detailed statistics of your Earnings,Total views,and CPM in your dashboard through a single click. You can get CPM between $3 to $12 depending on your device/country.Minimum payout is $3 through Paytm,Paypal or Bitcoin. In their referral program you can get extra 20% comission for referring your friend. If you want to ask any question you can directly contact to their dedicated live suport team,they are always ready to help you. 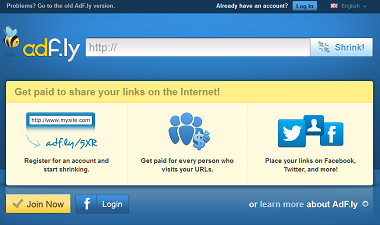 It is another best URL shortener to earn money by shortening your link. Earning through this URL Shortener is very easy. Signup for an account in just one minute,shorten Url’s and sharing your links to everywhere.And you will be paid from any views.You can withdraw your money when your account reaches $5 through payapl or payaza. Your money will be automatically send to you on the 1st day and 15th day of every month.For each successful referral you you will receive 20% comission. So,join now with Ouo.io and start earning from now. Link4.me is a another Fastest growing URL shortener through which you can make money online. Just create account,short your link,share your link on the internet and start earning. Whenever someone visit your link you will get money.They have a dynamic payout rates and earning per 1000 views changes hourly. You can also earn 20% of your friends lifetime income by referring this URL shoretener to them. When your earning reaches $5 in your account you can directly transfer it to yourPaypal account. So,start shortening links and earn money with Link4.me. Linkshrink is also a trusted and best URL shortener to earn money online by shortening your link. Here you can get $3 to $5 per 1000 views depending on the country from where the link is clicked. The minimum payout is also less $5 and also you can get 20% comission if you refer it to someone. So,join linkshrink,short your link and share it on facebook,twitter or any other social site and start earning money. I personally suggest you not to use it. It contains ads on its official pages and links. It is also one of the best URL shortener to earn money online.This is a free tool where you can create,short your link which apart from being free,you get paid. It’s Just 3 steps :create an account,create a link and post it.For every visit,you earn money. Featured administration panel allows you to manage all its features with a click of a button. You can earn as much as $4 to $12 by promoting this URL shortener.It also has a referral program by which you can refer your friends and receive 21% of their earnings for lifetime. It has a very low minimum payout.You are required to earn only $5 before you will be paid. You can get paid via your paypal account. So, if you are interested you can join pettylink and start making money by sitting at home. How to be financially free, surely but safely! What is Fiverr and How to earn with it? How to “make money online”? Hi, I have been using wordpress. Have a great time. Hi to every , as I am truly eager of reading this weblog’s post to be updated on a regular basis. Yes! I agree with you that its hard to be one of those who are standing on the top in blogger category. But what I can tell you is that Although it is hard, yet not impossible. You just have to keep doing good stuff constantly. They also never thought that they could do that. shortener links got huge popularity in the internet community, i had several experiences with adfly and other networks.i will try some more above mentioned URL shortener sites. And always Keep trying something different. i’ve seen your article it is really informative & also a helping content. Your content is good i personally love to read more on your site as soon. You are always Welcome at our site. India is bad | Here’s Why? Should Personal Development Be A Priority?